A murder (naturally), a snowstorm, guests stranded in an old country inn, and delicious meals catered by The Bean Tree. 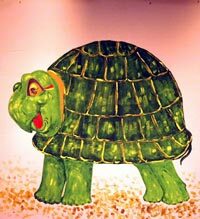 Aesopâ€™s Fablesâ€™ lively script intertwines five favorite fables, such as â€œThe Tortoise and the Hareâ€ and â€œThe Boy Who Cried Wolf.â€ Entertaining storytelling, drama, dance and comic twists ignite imaginations. 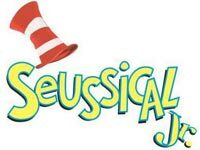 A delight for children to perform, Seussical Jr. is the fantastical, musical extravaganza by Lynn Ahrens and Stephen Flaherty, featuring favorite Dr. Seuss characters, such as Horton the Elephant and The Cat in the Hat. Wonderland! is an unabashedly silly adaptation of Lewis Carrollâ€™s Through the Looking Glass. Audiences of all ages will adore the hip-hopping music, familiar characters, dozens of new ones (such as plastic light-saber wielding knights! ), and the upbeat, coming-of-age story. Enjoy treats and tea down the rabbit hole prior to the children’s theatre presentation of Wonderland! Wear your best hat – there are prizes to be won! Tickets available online or at the BCJ Gallery. 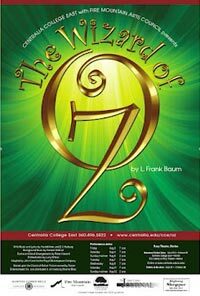 The Wizard of Oz by L. Frank Baum, along with Dorothy and her friends, shows us that â€œThere is no place like home!â€ in this adaptation true to the MGM classic. November 3rd at 7 p.m. & November 4th at 2 p.m.
All tickets: $10, reserved seating. 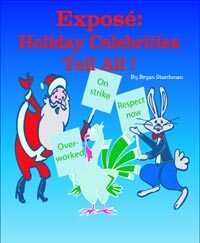 What happens when Santa, Cupid, and the leprechauns go on strike? Children from 6 to 18 will leave their audiences in stitches! This is a culminating production of the fall OnStage Children’s Theatre Education Program. Directed by Linda Mullen. View the performance photo gallery.